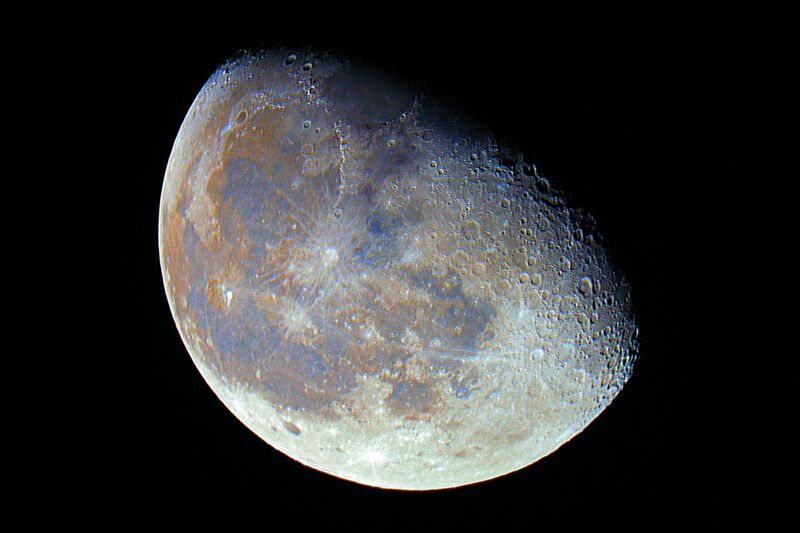 Moon Colors - The mineral composition of the moon is not uniform. On the contrary, various regions of the moon have different compositions from one another. This is reflected in different colors of the different regions, although the color is very subtle and cannot be seen with the human eye. However, with certain processing techniques, one can bring these colors out! The bluish to purple areas represent metal rich basalts, while the orange areas represent metal poor basalts. The white areas (especially around craters) represent recent impact zones.